The Afterword conclusion to the Praying in the Spirit Series by Robert W. Graves. 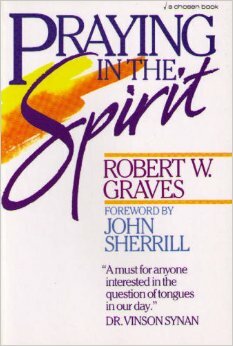 Robert W. Graves wrote Praying in the Spirit (Chosen Books) in 1987, when it received great reviews from a number of Pentecostal/charismatic scholars and leaders including John Sherrill, Dr. Vinson Synan, Dr. Gordon Fee, Dr. William Menzies, Dr. Howard Ervin, Dr. Walter Martin, and Dr. Stanley Horton. It is the great privilege of the Pneuma Review to republish it here. Most of us are familiar with the wonderful program called “Toys for Tots.” Firemen and other civil servants collect secondhand toys of all kinds; they work to put the sparkle back in the doll’s eye, and then they distribute these refurbished toys to needy boys and girls who may not otherwise receive a Christmas gift. Last December I told my children to gather up all the toys they wanted to give to this organization. We ended up with a sack full of toys, once cherished but now discarded. As my children have matured they have grown tired of, or simply outgrown, these toys. Applying this maturing process to the spiritual dimension, we might raise two questions. First, Could we grow tired of the charismatic experience? And second, Could we outgrow this experience? The answer to the first question is possibly. A tongues-centered spirituality will quickly pale. This explains the occasional recanting of a disappointed Pentecostal or charismatic. Nothing could be more suffocating than wrapping oneself up in the tongues experience. There is, of course, much more to the Bible than 1 Corinthians 14; and there is much more to spirituality than using one’s spiritual gift. The answer to the second question—Could we outgrow the charismatic experience?—is a resounding no. The apostle Paul spoke in tongues twenty years after he was filled with the Spirit, and he never supposed that he would quit this side of glory (1 Corinthians 13:8-10). Some have called the gift of tongues a beginner’s gift. But we must not infer from this that the Christian somehow graduates beyond the need of this gift. That occurs only when we see Christ face-to-face. And even then it may not be that we no longer need tongues to express our adoration and praise of the Lamb; it may be that tongues cease because they are fully understood by heaven’s transformation. After all, there must be some adjustment in our languages in heaven, for thousands of dialects will be represented among the redeemed. (I seriously doubt that I will be speaking with a Southern accent throughout eternity!) 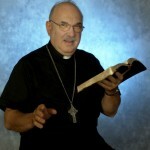 Tongues are to be considered a beginner’s gift only in the sense that they are normally the first charismatic gift manifested in the Christian who experiences a post-conversion baptism in the Spirit. About the Author: Robert W. Graves, M. A. 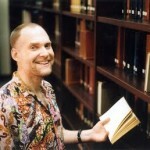 (Literary Studies, Georgia State University), is the co-founder and president of The Foundation for Pentecostal Scholarship, Inc., a non-profit organization supporting Pentecostal scholarship through research grants. 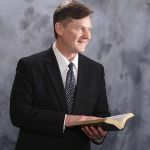 He is a Christian educator and a former faculty member of Southwestern Assemblies of God College in Waxahachie, Texas, and Kennesaw State University (adjunct). 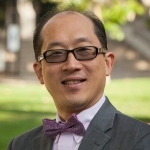 He edited and contributed to Strangers to Fire: When Tradition Trumps Scripture and is the author of Increasing Your Theological Vocabulary, Praying in the Spirit (1987 and Second Edition, 2017) and The Gospel According to Angels (Chosen Books, 1998). Praying in the Spirit: Focus of the Charismatic Experience: Tongues, the Holy Spirit, or Christ? This series has been a wonderful read and a refresher course on how wonderful and valuable the gifts of the Spirit are in empowering the believer to walk with Jesus in this earth!